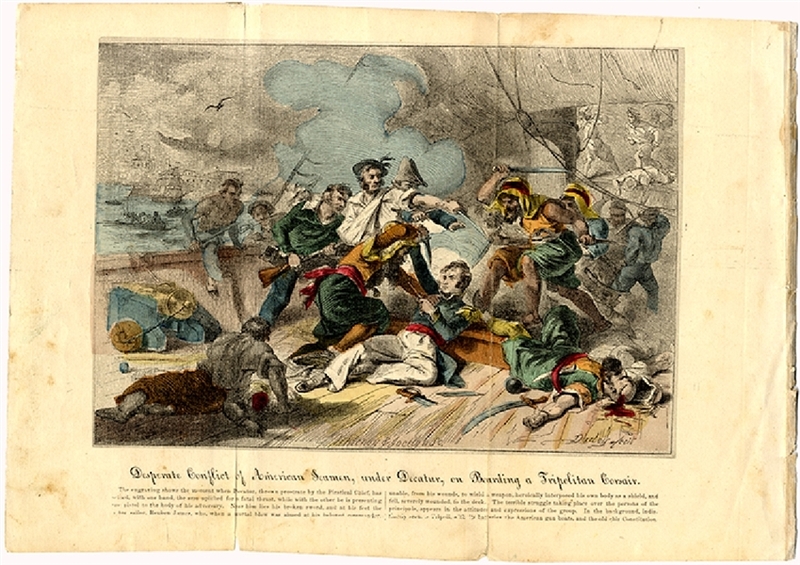 Engraving, “Desperate Conflict of American Seamen under Decatur, on Boarding a Tripolitan Corsair” nicely hand tinted, 12” x 8-3/4,” engraved by Whitney & Jocelyn, withdrawn from book, c1855. The engraving shows Decatur on his back, yet shooting an attacking pirate. Engraving is c1855, depicting an 1802 event.